hahahaha. poor yukio, why does he have so much moles..? 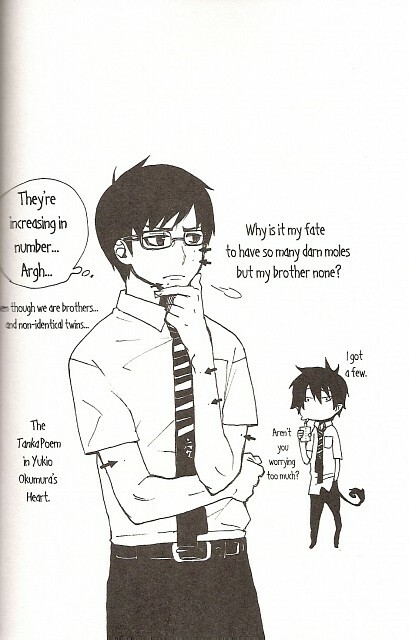 =3="
But it's alright, it's your moles that make you more appealing than your brother, Yukio.